"Pa Co Market usually takes place on Sunday every week, which is busy and crowded as Tet holidays in the delta region. A wide range of commodities are sold in Pa Co Market, mostly brocade products. With the upland ethnic minorities, going to the fair is an indispensable activity in the life of the families. They concentrate at the market with many different purposes. They can exchange, purchase or simply meet each other after days of hard work. 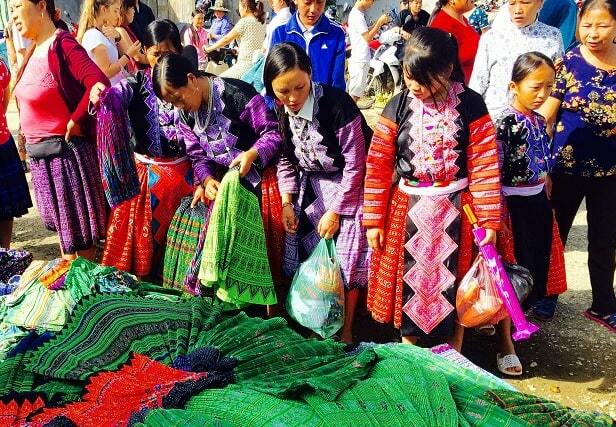 Hmong boys and girls can also make an appointment at the market to express their feelings..."
Pa Co - is located about 20 kilometers from Mai Chau. It is a popular destination, especially among young people, who want to know about life in the Northwest. Pa Co market for this is a good starting point. In addition to the car and the motorcycle is a favourite way of transport to get there. 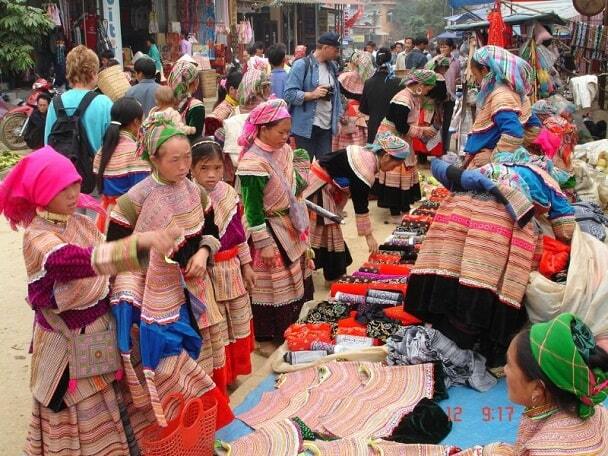 For people from ethnic groups, a visit to the local market an irreplaceable activity in daily life. They often go to the market with a different purpose: the exchange of news, business, meeting after days of hard work. Or boys and girls come to the market to meet and arrange. Every Sunday, Hmong from Moc Chau and Thay from Mai Chau to the market in Pa Co to sell their handmade products. The merchandise, which they place on the market, is also very diverse, sometimes they sell a pig, a cow or a chicken, a few newspapers, or things they have made ... and there are many stalls with colourful brocade. 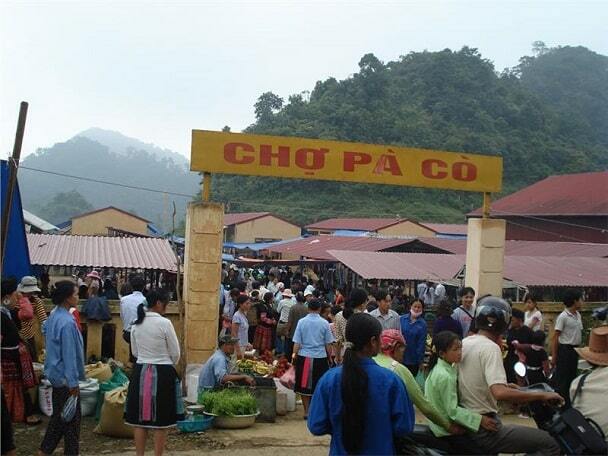 Such a market in northwest Vietnam you must visit once in your life. The market in Pa Co is identical. Little has changed over the years. The mountain people talk and drink wine together. Not that they have much time, because life is hard in the mountains, but by making wine they spend some time together. They are very emotional and open. And the alcohol is the bridge that connects them together. Pa Co market usually starts very early and ends quickly. At 11:00 am the peopl from Hang Kia, Pa Co, Long Luong Lac village do their last purchase before they leave. For us it's early, but these people still have to travel home and next morning early to work. On the last day of the grain harvest ends the market even earlier. The local products, which are sold on the market, is the result of the hard work of people here, the country's difficulties and the hard life. In addition, these products reflect the life, culture of each ethnic group. Nowadays people's lives improved. Thus, the market has also undergone changes, but the traditional beauty, the cultural identity of the market is still preserved. In the villages like Pa Co and Mai Chau, you have the ability to view the Thai minority popular dance "Xoe". The "Xoe" dance has a long history and is dated around the year 1000 AD. In the beginning, the dancing boys and girls from villages holding hands and forming a circle. This dance has become a tradition in the Northwest of Vietnam and is performed at many festivals. This dance is also performed as a welcome to tourists who come to this area. This dance has grown to 36 different dances and is a symbol of unity between the ethnic groups in the north-western region.